Is it possible to monitor a native biological process at the molecular level in real-time? 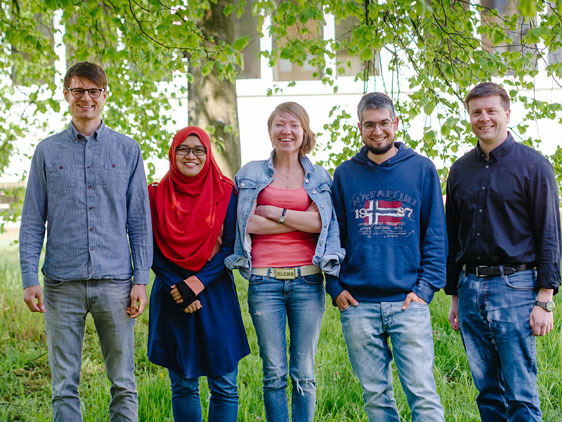 The NMR Spectroscopy for Metabolomics and Signaling group at the Institute of Microstructure Technology (IMT), Karlsruhe Institute of Technology (KIT), aims to develop technologies targeting this challenge. The central analytical technique driving these technologies is Nuclear Magnetic Resonance due to its non-invasive and non-destructive treatment of samples. We are necessarily a multi-disciplinary group addressing topics in microstructure engineering, electrical engineering, chemistry, physics, and biology. Our group takes ‘sample’ to mean a biological entity, be it a protein, cell culture, or small organism, and the technologies we develop must be designed with several functionalities in mind in order to reproduce a biologically relevant environment. Aside from the obvious need of biocompatibility, these include sample sensing and positioning, temperature control, nutrient supply, waste removal, and stimulus application. To complete the system, these functionalities must be integrated with the sample-appropriate micro-NMR detector. We therefore have activities in microfluidics, NMR hyperpolarization strategies (parahydrogen and DNP), micro-MR detector design, optical and electrical spectroscopies, spectral interpretation of complex mixtures, and reversible hydrogel deposition and functionalization.